A recipe for a baked potato? Really? Is there an actual recipe for how to bake a potato? 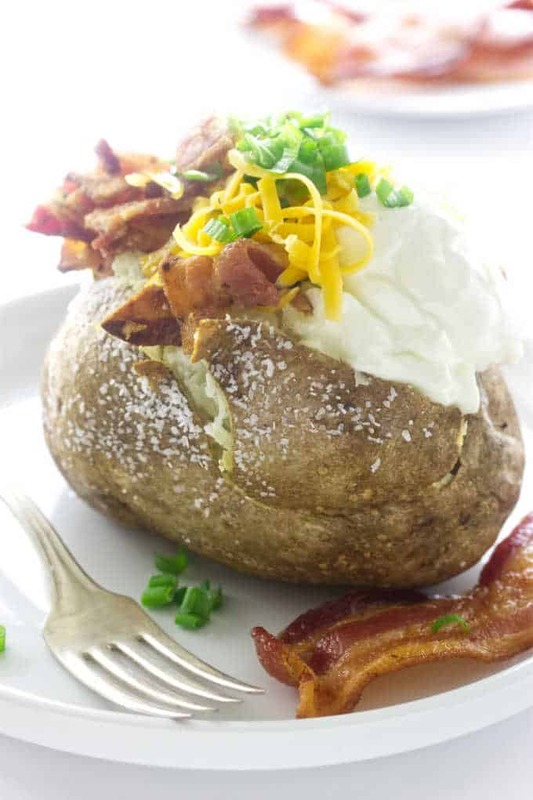 Well, this isn’t so much a ‘recipe’ as it is how to make the Best Baked Potato! 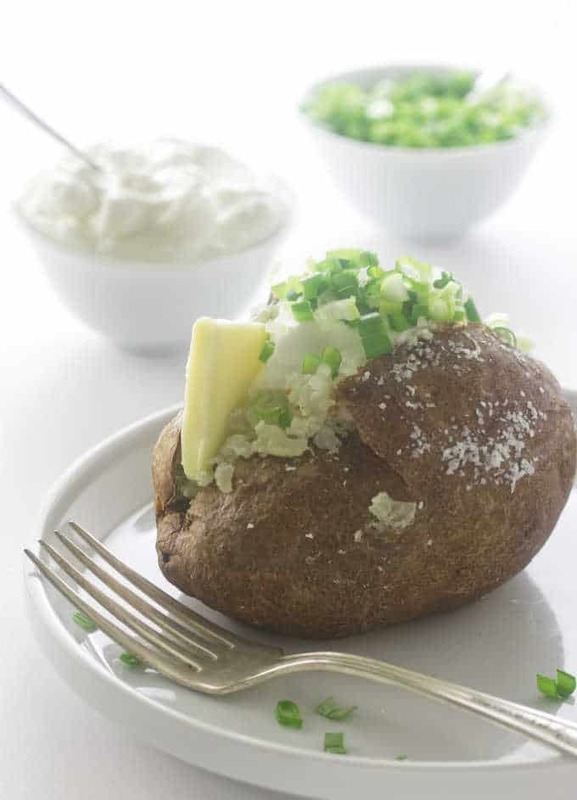 We are talking about a light, fluffy baked potato, topped with butter and maybe a dollop of sour cream and chives! We have been baking potatoes most of our adult lives and never used a recipe. Many times we put our potatoes into the microwave for a fast ‘bake’, but actually that is a steaming method. It is quick and easy but is it light and fluffy? Oh, yes! I am guilty of turning on the oven to the factory-default setting of 350° degrees and tossing a scrubbed potato right into that cold oven. Sure the potato was eatable but with a texture resembling a boiled potato it was far from light and fluffy. 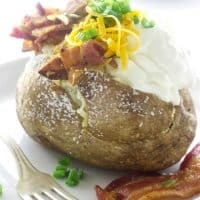 How Do you Make The Best Baked Potato? First off is choosing the best potato for baking. There is a plethora of potato varieties and not all of them are ideal for baking. Did you know that world-wide there are over 4,000 varieties of potatoes? Yes, all potatoes can be baked but they have different textures to their flesh. The different textures can be used in varying applications but the main difference is in the starch and moisture of the potato. 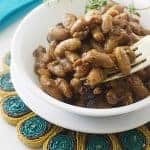 For instance, if you are adding cubed potatoes to a stew or soup you want one that will hold up and not turn to mush during the cooking process. 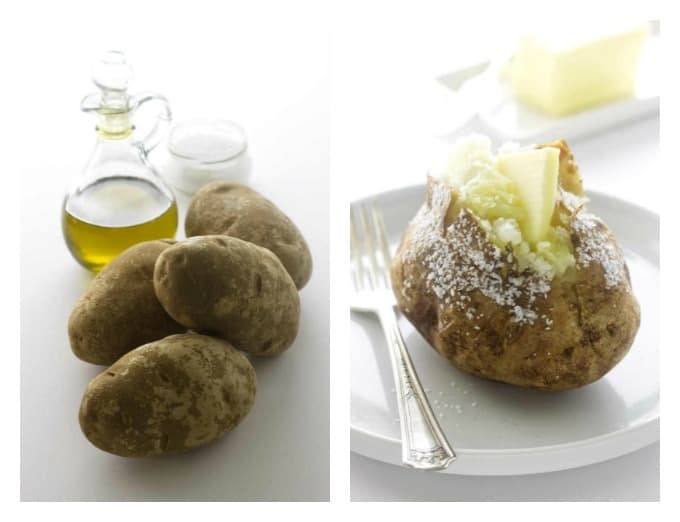 Choose a waxy potato like a Yukon Gold. In the United States the Russet is the un-disputed choice for the best baking potato! This oblong, slightly flattened russet potato is high in starch and low in moisture. That is one of the reasons why it makes the best baked potato! 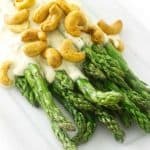 The high starch yields a grainy texture and it bakes up with a dry, fluffy center and a crisp roasted skin. Now that we have settled on which potato to use for the best baked potato, let’s get to it! Preheat the oven and while it is heating, scrub those spuds under cold water to remove any soil. Pat them dry with paper towels and poke some holes in them with a fork. Why Do You Poke Holes In A Potato Before Baking It? 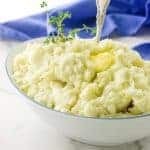 The moisture in the potato becomes steam and the thick skin of the potato needs an escape route for the steam or it just may explode in your oven. I have had the unfortunate experience of cleaning baked-on potato from our oven and that was not fun. So, be safe and poke each potato with a fork. You don’t have to go crazy with the fork, three or four pokes will do the job. Next, give those potatoes a nice oil-rub and sprinkle them with salt. You can set the potatoes directly on the oven rack in your hot pre-heated oven. You might want to lay a piece of foil on the rack below it to catch any oil drips. We do not recommend putting the potatoes directly on a dish or baking sheet as they will cook unevenly or scorch on the bottom. If you want to use a baking sheet, set a wire track over the baking sheet then set the potatoes on the wire rack. That will keep the potatoes elevate for the hot air to circulate around and under the potato. What is the Oven Temperature and How Long Do You Bake A Potato? For the best baked potato set the oven temperature to 425°F. The time in the oven will depend on the size of your spud. A small 6-ounce potato will bake in about 35-40 minutes. Bake a large 12-ounce potato at for one hour. If you are not sure if the potato is done, poke a fork into the center and if there isn’t any resistance and it is tender, pull it out of the oven, add toppings and enjoy it piping hot! And of course the fully loaded with bacon, cheddar cheese, sour cream and chives. 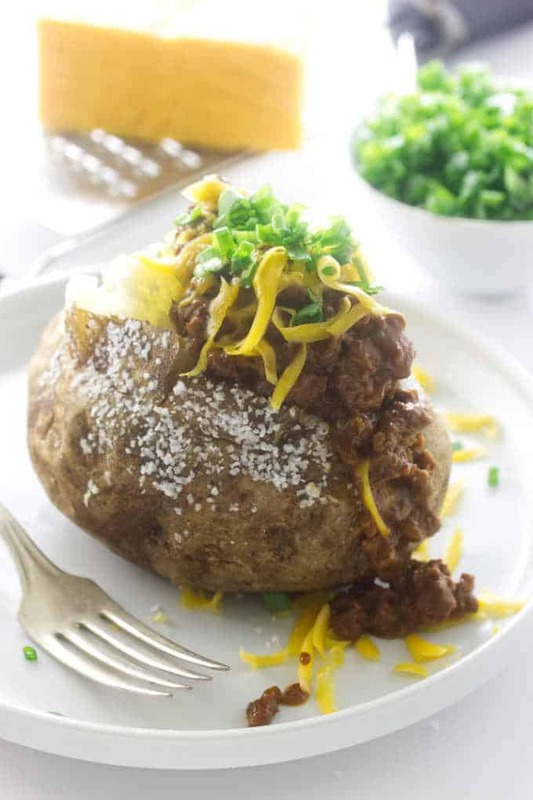 A large baked potato can be a meal in itself, it is an easy, satisfying choice for lunch or dinner. Oh, yum, and don’t forget that crispy skin! I always save it for last and slather it up with sour cream! For the best baked potato choose the Russet. Dress it up with choices of toppings: Butter with salt and pepper, bacon, chili, cheddar, salsa, sour cream, guacamole chili, chives and cilantro. Scrub the potatoes under cold running tap water to remove and soil. Pat dry with paper towels and trim away any blemishes with a paring knife. Poke the potatoes in several places with a fork to allow steam to escape. Rub the potatoes with olive or vegetable oil and sprinkle with salt. Place the potatoes directly on the oven rack, add a piece of aluminum foil on the bottom rack to catch any oil drips. Bake the potatoes for 55 to 60 minutes. Check for doneness by sticking a fork into one. If it is soft and shows no resistance, remove from the oven. Serve immediately with your favorite toppings. Russet potatoes are distinguished by their oblong and slightly flattened oval shape. They have a brown, netted or freckled skin. When baked they will have flesh that is white or light yellow and be light and fluffy. The time in the oven will depend on the size of your spud. A small 6-ounce potato will bake in about 35-40 minutes. Bake a large 12-ounce potato at for one hour. 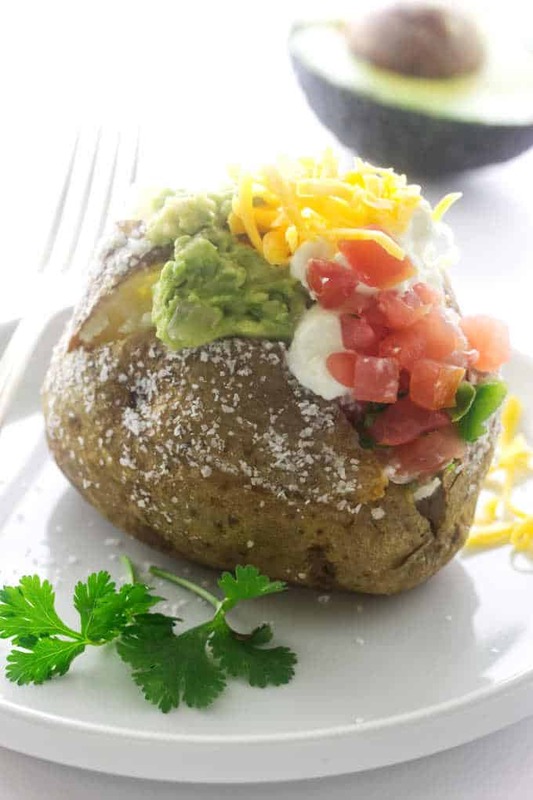 Dress up the baked potato with choices of toppings: Butter with salt and pepper, bacon, chili, cheddar, salsa, sour cream, guacamole chili, chives and cilantro.